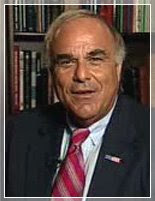 Pennsylvania governor Edward G. Rendell wants to expand the use of biodiesel and alternative fuel vehicles. The commonwealth has applied to the U.S. Department of Energy for $15 million through the American Reinvestment and Recovery Act. The state proposes to install 23 biofuel terminals and four retail stations throughout the state as well as purchase natural gas vehicles, facilities and equipment.